I have been in the ecommerce industry for over 8 years and have spoken with hundreds of ecommerce directors. And I have a secret to tell you: they all face similar challenges when it comes to organizing an online store. Here are the top 4 ecommerce challenges faced by ecommerce directors, of all sizes. Back in the day, it was easier. The competition wasn’t so stiff, and the cost of traffic acquisition was much lower. 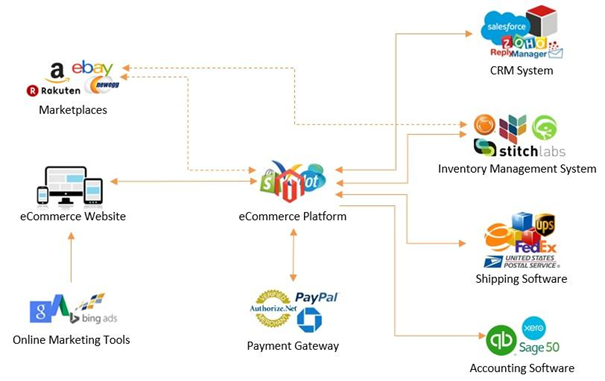 Right now, every ecommerce director has to be a multitasking magician who manages and supervises all aspects of their online store: IT department, traffic acquisition division, content development, promotion, online marketing, and many more. With so much to do, it could make your head spin. 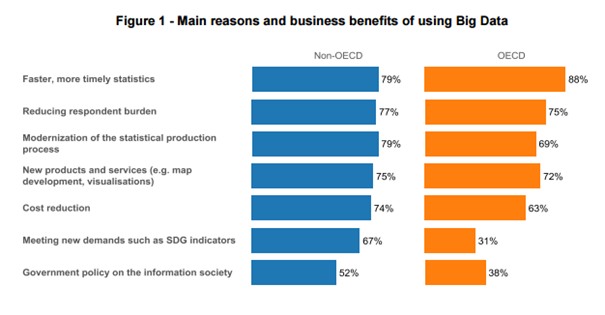 But no matter how vast their responsibility may be, 80% of ecommerce directors mention following 4 of the same challenges in ecommerce development. Wanna know if they feel the same way you do? What alternative directions can you take to increase the revenue of your ecommerce? My Big Data is Big. But how do I use it? How do I declutter my IT department? How do I find my dream team of ecommerce specialists? 1. What alternative directions can you take to increase the revenue of your ecommerce? Online stores can be optimized and made more profitable in various ways. The availability of marketing and sales tools for ecommerce has exploded – over 5,000 different types of MarTech were on the market in 2017. Many of these solutions are highly expensive. Upselling systems, crosselling systems, ecommerce redesign, choosing technological partners, inventory management systems, and shopping cart solutions? these are just a few options. Not to mention the whole fuss with generating targeted traffic and customer retention. Should you invest more in SEO, PPC, email, and social, or work on your conversion rate to gain and retain customers? With so many options to choose from, it’s not easy to choose wisely. The most common, and frequently most complicated, ecommerce challenges come with changes in the front-end of the website. Often, you don’t even stand a chance to check how front-end changes affect your conversion rate, and at the same time, the revenue of whole ecommerce. Of course, A/B tests are helpful. But let’s be honest: during aecommerce redesign process, which one of us takes the time to conduct a massive A/B test of the whole new layout? 2. My Big Data is Big. But how do I use it? Let’s be honest for a second: we have all heard the buzz about big data. According to BaselineMag.com, in 2017 the Big Data market grew by $53.4 million. Worldwide, there are 2.5 quintillion bytes of data created daily. It’s clear that Big Data is plentiful and, if the market growth is any indication, it’s important. But how do you use it? There are hardly enough ideas on how to use Big Data properly that it generates a consistent flow of cash. In your online store there are products which are visited less frequently than other. But at the same time, nobody buys them. So you create the following process: once a week you ask your employee to check which products have the highest rate of visitors, while at the same time lower than average conversion rates. Each week this employee starts sends a list of these items to the person responsible for products and their descriptions to check for mistakes. And in no time you have created a structured, simple, and non-automatic process, thanks to which you’ve reached data based monetization. The next step is to develop as many processes as you can, in which data and ecommerce reports will be used. For example a structured process of optimized traffic sources. The more of these processes you have, the higher the ROI from data will be. 3. How do I declutter my IT department? Is there an IT-fairy somewhere to help? Just kidding. There isn’t one. Every IT department is overloaded with work. All tasks stuck in a never-ending queue. 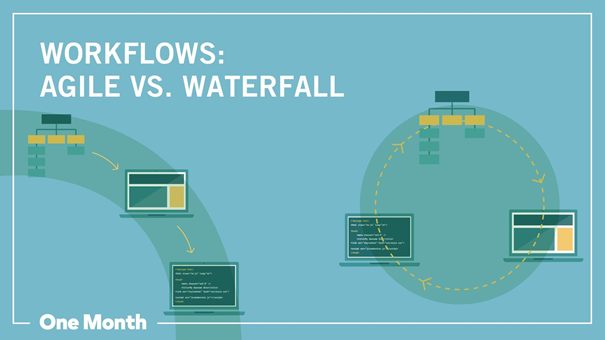 Some IT departments work in Agile workflow, some in Waterfall, some online stores outsource IT, and some have internal departments. There are front-end developers, and there are back-end developers. But mostly, there are queues and your IT director ends up telling you that they can’t do it any faster. So, how do you make this process run more smoothly? There are many models of IT work organization, even if there isn’t a perfect model. But what you can do is either omit the need for your IT department, or quickly scale the programming capacity back through using custom codes. Thanks to Single Tag UI tools it is possible to implement big changes in the front-end without engaging your IT team. 4. How do I find my dream team of ecommerce specialists? The number of online stores is constantly rising. North America alone has more than 1.3 million ecommerce companies. At this rate, universities aren’t able to train qualified specialists quickly enough to meet demand. For a time, you’ll probably experience a work gap. But there’s more to it – the ecommerce industry changes at such a pace that university teaching can’t cope with it. According to SHRM Human Capital Benchmarking Report 2016, the average cost per hire for companies is $4,129. While according to Training Industry Quarterly, it takes at least 1 to 2 years before an employee is ‘fully productive’. In the ecommerce industry the costs are even higher, often because the education of the employees (sometimes even from scratch) has to be directed by the company. This raises the costs of new employee even more, and scaling the business is undermined by the team not growing fast enough. And the result is simple’ there is no star, to run your fabulous online store. Do any of these ecommerce challenges sound familiar to you? If yes, don’t worry, all ecommerce directors struggle with the same problems! In the upcoming posts we will give you a few proven solutions to each one of them. Anyway, no matter what you sell online, remember that your final revenue is what matters the most. Read Case Study of European apparel giant Reserved.com to see how they boosted their revenue without involving their IT department, or check out 51 Trends of eCommerce for 2018 to learn what roads for ecommerce growth are possible in 2018. 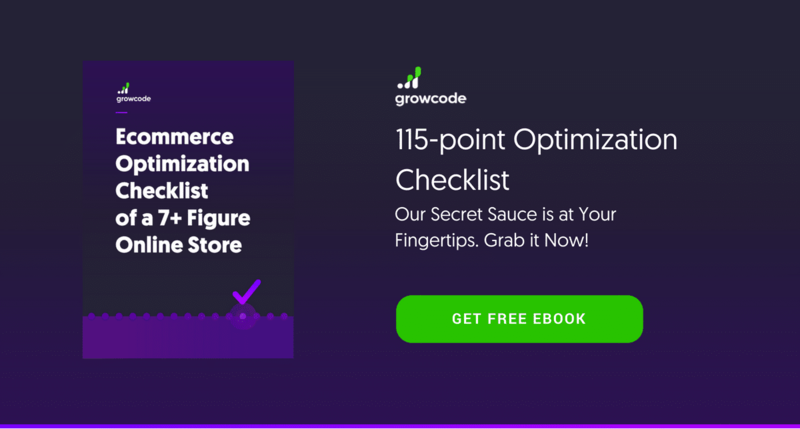 Download the ecommerce Optimization Checklist of a 7+ Figure Online Store if you don’t want to make any more mistakes! Interested in optimizing your whole site, from your home page to your check-out forms? Download our 115-point optimization checklist. And don’t worry, we’ve broken it down into manageable chunks! Find out how Reserved (the biggest Polish fashion retailer that operates in 18 countries and has ~8M visits a month) increased their CR by 4.6% without IT engagement in only 8 weeks. Failed redesign. Revenue plummeting to the ground. Growcode team on a rescue. Will they save Grene.pl? 8% of revenue increase in just 5 weeks for the best Polish sporting goods brand that outfits the Polish Olympic Team. Learn how Growcode team did it.